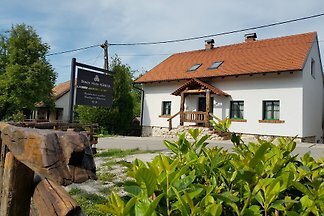 Brandy House Hedonica is a traditional rural holiday home in the vicinity of Samobor, where its antiquity is enriched by the luxury and comfort of modern accommodation. The family-friendly property is located in the resort Terme Catez in Catez `whether Savi' and is a large plant in Slovenia. Rent successfully your holiday flat or holiday home in Zagreb & surrounding area in only 20 minutes !